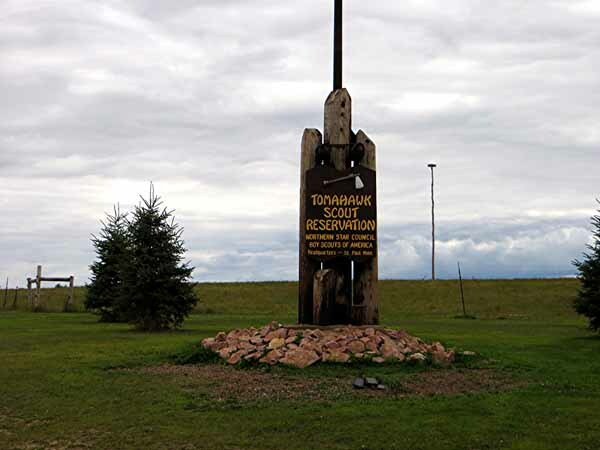 On Friday, Miss Sheri and I drove deep into Cheeseland to Birchwood, Wisconsin which is home to Tomahawk Scout Reservation. 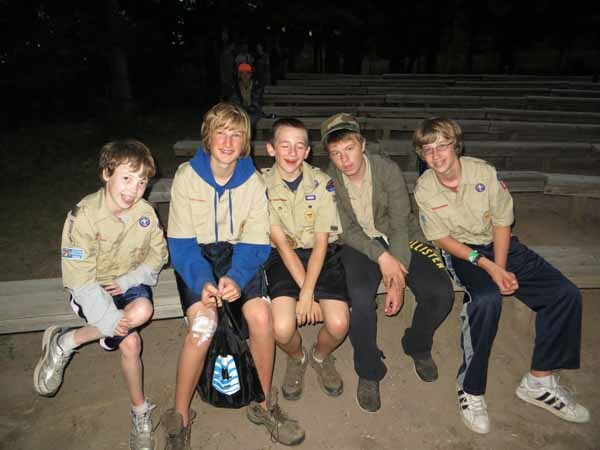 Luke and Avery had spent the previous 7 nights with their friends camping out in the woods and working on merit badges. 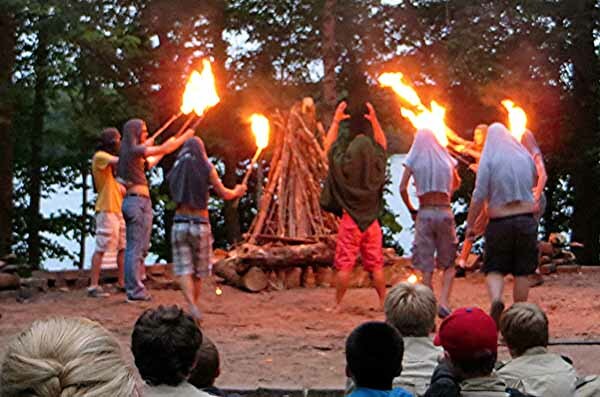 I wish they would have also spent at least a couple of those nights showering and cleaning themselves up, but that doesn't seem to be a big activity at camp. 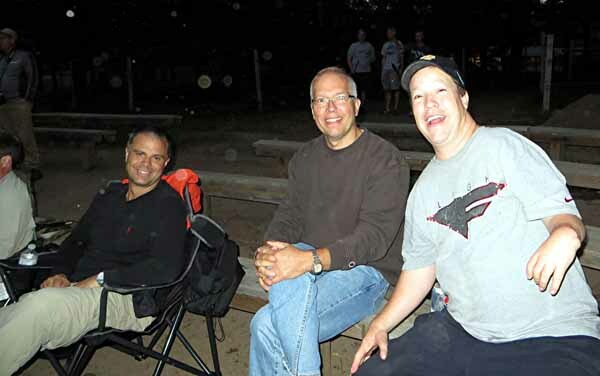 In previous years, we'd show up earlier in the week and spend at least a couple of nights at camp. But as I get older, my tolerance for sleeping in tents gets to be less and less, so we showed up right before the final dinner hour. It was just in time to see the boys get ready to go to the dining hall. Since eating in the camp dining hall is also low on my tolerance level meter, we ate on the drive up instead. So while the boys ate, we had the opportunity to hang out with the cool kids, Karl and Bob. Not necessarily in that order. 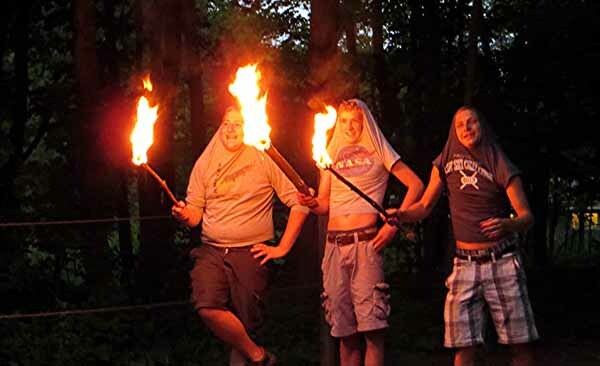 We headed to the final campfire which is dubbed the Court of Honor. At this event, the boys perform several hours worth of skits where they basically beat on each other and tell inappropriate jokes. It's somewhat hilarious. The evening starts out with the boys starting a massive campfire. I always get a little nervous about the fire, but I know that fire safety is something they get drilled into their heads over and over throughout the week. Besides, these boys look pretty responsible. They started the blaze this year with a bizarre ritual that was choreographed surprisingly well. I kept expecting to see some kind of mystical creature erupt from the flames but it ended up being just regular old smoke. 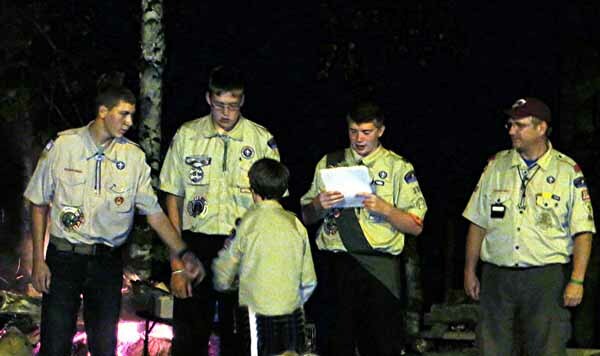 At the end of the ceremony, the boys were rewarded with congratulations for all the merit badges and rank advancements they earned throughout the week. Then we headed back to the tents to sleep on sticks and stones and listen to really loud loons throughout the night. The next morning the boys woke up bright and early, took down their tents, cleaned up the campsite, and packed up the van. They were excited to get home to their TV, XBOX, and warm bed. We were excited to get them home to hose them down. 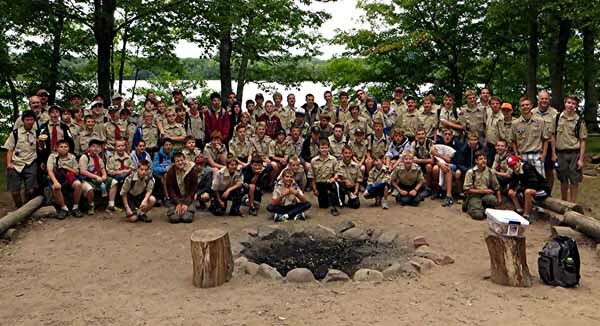 They had a fantastic week with the men of Troop 331. 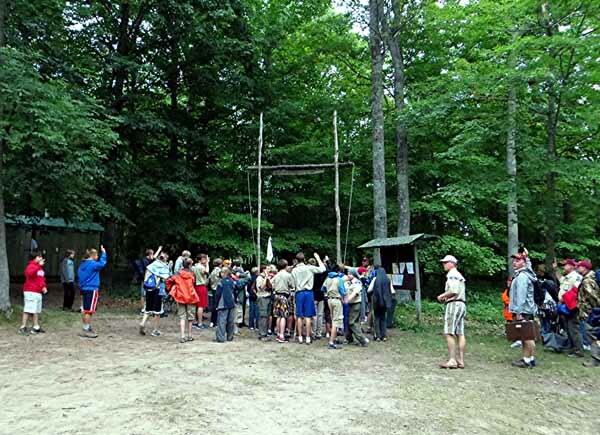 We heard that they had over 80 boys at camp and 100 people in attendance with adult leaders. 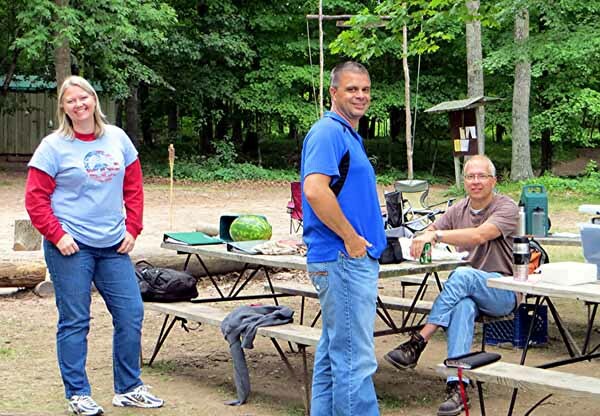 This was the largest troop the camp had hosted all summer! 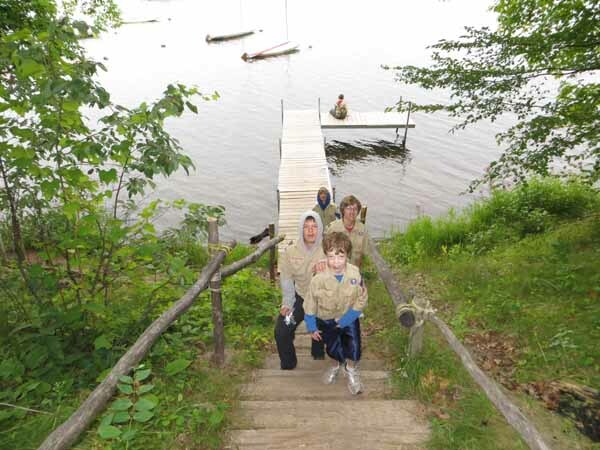 We're so glad the boys have stuck it out in scouts because it gives them so many opportunities they wouldn't get if they had to rely on their father. I'm just not really big at sleeping on sticks.